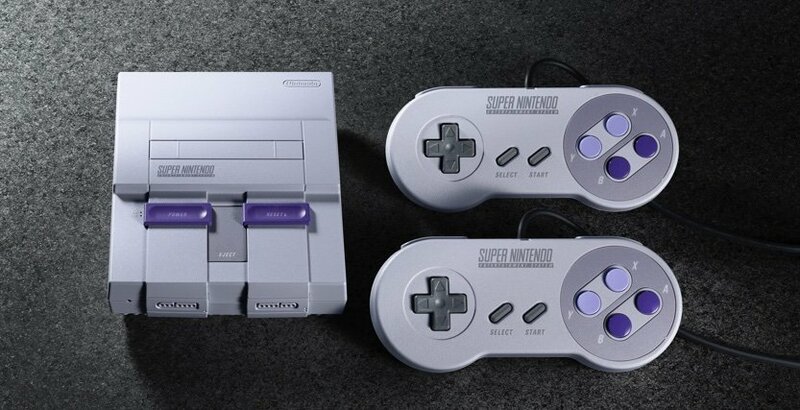 Nintendo has announced the SNES Classic Edition, a bite-sized version of the original Super Nintendo Entertainment System, which it plans to release this September. Similar in nature to the NES Classic Edition, this new hardware will allow consumers to play a selection of SNES titles on their modern TVs, without needing to dig through closets and boxes for frayed wires and dusty cartridges. Unlike the NES Classic, which originally retailed for $59.99 (assuming you were able to find one at that price), the SNES Classic will be made available for $79.99, though you can attribute that price increase to the extra controller Nintendo has packed in. The system itself will come with two wired SNES Classic controllers, an HDMI cable for connecting the system to modern displays, a USB charging cable to provide power and an AC adapter. The second controller will make the system multiplayer-ready upon setup, as opposed to requiring players to run out and purchase more accessories. 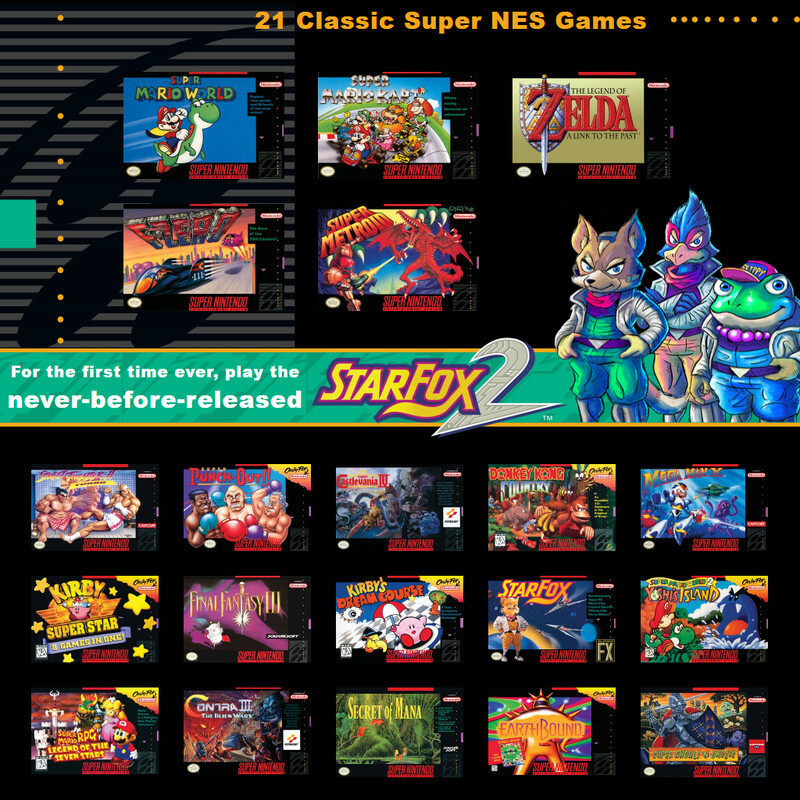 Unlike its predecessor, the SNES Classic will only ship with 21 titles, though it’s worth noting that these games are considered the cream of the crop when it comes to the SNES’ library. Interestingly, Nintendo is choosing to include Star Fox 2, a never-before-released title which players can unlock by beating the original Star Fox. The SNES Classic Edition will release on September 29th and will retail for $79.99. Will you be picking it up? Let us know in the usual place!